Joe Rogan is a famous stand-up comedian, a UFC color commentator, and runs the most popular Joe Rogan Experience (JRE) podcast. He joined the UFC back in 1997, and in fact, last month promotion paid tribute to Rogan for completing 22 years with the company. The most notable name like Joe Rogan also came under the radar of criticism for calling a questionable commentary in MMA on many occasions. There’re ample of proof when fighters sound off on Rogan for his bogus commentary. One famous example is when Rogan came under heavy criticism of UFC 223 fight calling where he was critical of Khabib Nurmagomedov’s performance despite Russian en route to a unanimous decision win over Iaquinta. 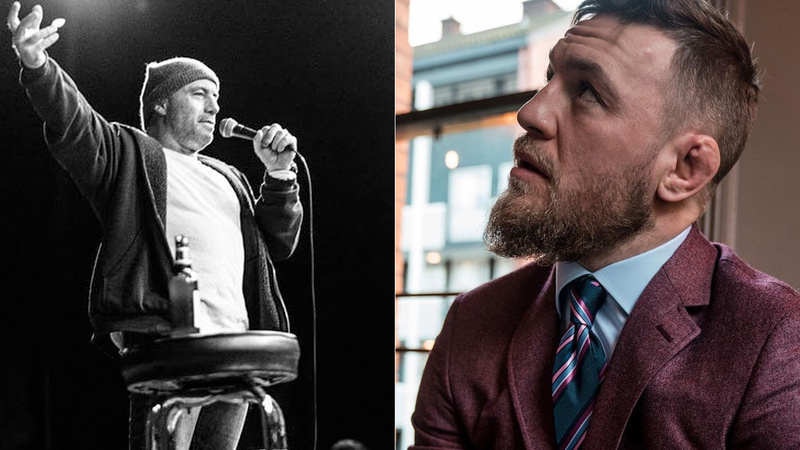 Conor Mcgregor also criticized Rogan for calling fights off reading the scripts and gave others an impression that he calls fights spontaneously. But he also expressed his interest to be a guest at his podcast someday. Mcgregor is currently serving a six-month of a suspension handed by NSAC for taking part in UFC 229 post-fight brawl. Last week Irishman revealed that he’s in negotiation with UFC and aiming for a summer return.